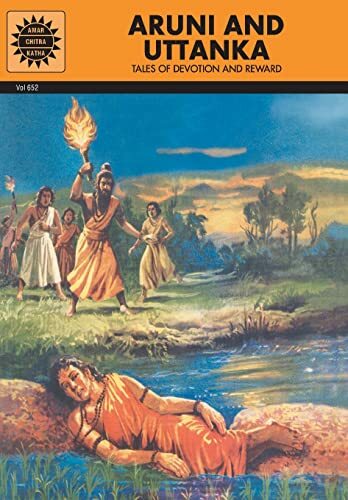 Published by Amar Chitra Katha Pvt. Ltd.
Aruni was willing to give up his life for his Guru, Uttanka cast aside his dreams for his teacher. Young or old, their devotion and obedience were almost superhuman. Luckily, as described in the Mahabharata, the gods looked kindly on them. After all, these young men had earned the right to happiness.